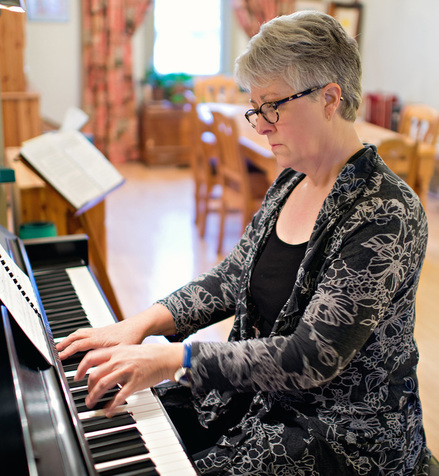 Cathy Sproule, an accomplished piano player, began playing traditional fiddle accompaniment in 2003. She teaches piano at several fiddle camps across Canada and is the house accompanist for the Saskatoon Fiddle Orchestra. She accompanies Gordon and JJ at various times and plays piano on their “Twin Fiddles” CD. When not playing fiddle or piano, Cathy organizes fiddle events such as house concerts, the FiddlyNess Fiddle Camp and the Saskatoon bid for the Canadian Grand Masters Fiddling Championship in August, 2014.